Here are the candidates for Conquest ward in their own words. 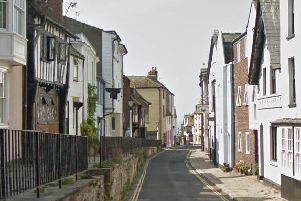 I have lived in Hastings since the age of 10 and spent most of my working life as a solicitor in the town. This is a town where everyone can feel accepted. However, times are changing and there are pressures that could change the special nature of our town. Chain-stores siphon out profits while taking the livelihoods of small businesses. Commercial interests threaten to build a playground for rich out-of-towners to buy second-homes on the Stade when we desperately need housing that young people can afford. Ian runs a small company on the Castleham Industrial Estate and has lived in Hastings and the surrounding area for most of his life. Ian tries to be a keen environmentalist and is a regular walker in St Helens Woods. He believes that one of the main problems with Hastings Council is not inadequate funding; although that is a problem; but it is more a case of poor use of limited resources and getting the short-straw regarding funding from Central Government. Ian wants to see more focus on improved waste collection, recycling and public transport. He also believes the Council planning strategy needs to become much more transparent. Margaret has for many years campaigned with the Friends of Conquest Hospital, most recently seeking funding for new MRI equipment. Margaret is appalled by the wastage of limited funds, both by ESCC and by the local Labour Council where, regrettably, the few Conservative opposition Councillors seem ineffective in holding the council to account. She believes that the limited funds received from the ratepayers and from the government could be much better spent to improve the lives of the community and the opportunities for everyone in Hastings. I work for the IT department for the NHS, I volunteer at Snowflake night shelter and am a member of the Bonfire society. I hold a computing degree with I am proud to of gained because of my difficult education background. My life experience and community work has led me to have an interest in schools for disabled children. I know how hard it is to overcome barriers to success, if elected I will ensure that any barriers within the local community are removed. I have gone through jobseekers and volunteering work to get to where I am today which makes me determined to help those who need it. I am a town planner and former architect with a passionate interest in creating more sustainable urban environments. I believe we need to radically revise the planning system to involve local people in making some of the decisions necessary to make Hastings a more sustainable and higher quality place to live and work. I moved to Hastings in 1970 and have lived in Old Roar Road since 1985. I have mentored disadvantaged children and am involved in progressing The Greenway cycle and pedestrian route throughout the town. Nuclear Engineer Paul is 53 years old and has lived the Hastings area for 28 years. A committed family man, Paul is married to Leighanne. Paul has a master’s degree in engineering and has worked in the nuclear power industry for 30 years. Over the years Paul has been involved in the community over many years, including a period as school governor at a local primary school. I have been a resident in St Leonards all my life and my partner and I currently live in St Leonards with our five children. I currently volunteer at the Hastings & Rother Voluntary Association for the Blind and have done for five years. I want to give more to the community and this is one of the reasons I have decided to stand for election. I would be honoured if elected to serve as councillor for conquest ward and carry on the good work that the Labour council have done for the last decade in the town.